Stand Up Paddle boarding in the heart of Jo’burg? Excellent news…learn to SUP without even leaving Johannesburg! Come and check us out – SUP Fitness – at Emmarentia Dam. 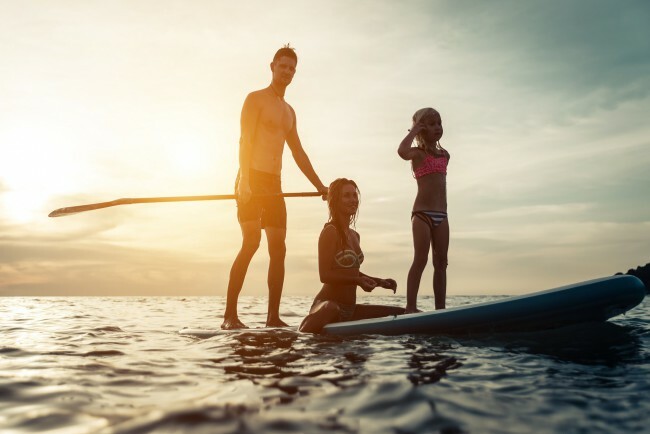 SUP is 100% FUN, a great way to get fit and stay fit, and a fantastic all-round leisure activity that appeals to everyone. So, what is SUP? Basically, Stand Up Paddling is propelling yourself through the water with a paddle while standing on a board. SUP boards are designed for stability and there are boards to suit flat water, waves and white water. Stand up paddle boarding is literally taking South Africa, and the world, by storm! Never paddled before? Perfect! No prior paddling skills or SUP experience required. Our beginner and intermediate programs will get you going and each lesson includes equipment rental. We will teach you the basics of SUPing ensuring correct technique and you will be on your way to discovering a whole new world! We also offer advanced programs and equipment hire – offering the world leading SUP brand Starboard equipment of course! Looking for a unique theme for your next party? Enquire about our fun Kids Parties Parties – a laugh a minute for a and we can accommodate up to 14 kids or perhaps get your colleagues outdoors for your next team build. Emmarentia Dam has a great vibe and is the ideal location for SUP newcomers and gurus alike. So, get paddling and book a 1-on-1 or group SUP lesson today with one of our expert instructors who pretty much eat, sleep and breathe SUP!